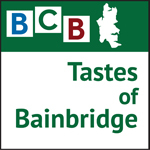 On the scene at Bainbridge Island’s May 28 Farmers Market, BCB Host Bob Ross talks with chef and author Judith Weinstock about her history with the Streamliner Diner, her cookbooks, and her tasty baked goods. In this podcast, self-described Food Muse Judith Weinstock discusses her philosophy about food and why she made a commitment early to make this her life’s work. 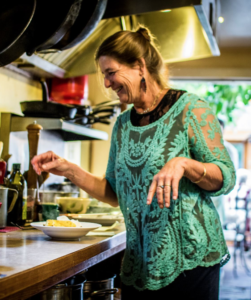 Listen here as Jude describes her early involvement with the very popular Streamliner Diner, her eventual move to developing the Kingston Hotel Cafe, and the two cookbooks that came from those ventures. She is currently working on a book about kids and food and cooking and is committed to the concept of teaching children early in their development about food and where it comes from. Judith is well known for the occasional but sumptuous Sunday morning brunches she serves at her residence on the back patio (also known as The Underground Cafe). For more about those Sunday morning adventures, visit her Facebook page: https://www.facebook.com/FoodMuseInspirations/ . Credits: BCB host Bob Ross; Audio editor Chris Walker; publisher Diane Walker.